Female Hair Loss - Why It May Be Your Hormones! Female Hair Loss – Why It May Be Your Hormones! Home → Fertility Nutrition → Female Hair Loss – Why It May Be Your Hormones! Thinning hair, noticeable bald spots, receding hair line, large clumps of hair showing up in your hair brush or shower drain, these are typically things you hear about from men, not women. More and more though, we are contacted by women who are experiencing hair loss who want to know if this is a sign of something wrong with their hormones and how they can fix the problem. Fortunately, hair loss is not a sign of infertility, but is a side effect of hormonal imbalance which can impact your fertility. Many women feel confident, feminine and more attractive when their hair looks good. The time and energy a woman puts into her hair is often a statement of style and an affirmation of beauty; it’s even an expression of self-love. Our hair is a permanent accessory that is part of our identity. Well, maybe not so permanent. Style, beauty, femininity, confidence, attractiveness and self-love can all fall to the floor when a woman’s hair begins falling out. Women are bombarded with the message, through modern media, that “when my hair looks good, I can deal with anything.” So, what is a girl to do when her hair starts falling out against her will? Education is a powerful first step! Learning the underlying cause(s) and how to naturally support the body in recovering or achieving balance will help ease fears and help you move forward with the best ways to rebalance hormones and foster the regrowth of hair. While it is normal, according to the American Academy of Dermatology (AAD) , “… to shed between 50 and 100 hairs a day,” if you feel like or see that you are losing more than that, it’s more than normal shedding. It’s hair loss. Birth control pills contain artificial progestins that act like male hormones, known to shrink and damage the hair follicle. An overabundance of male hormones in women could potentially contribute to insulin resistance as well. This is indicated especially if hair loss is accompanied by fatigue, unexplained weight gain, aching joints, constipation, dry skin, feeling cold all the time, poor sleep, etc. Hair follicles are sensitive to thyroid hormones. Low levels of certain nutrients within the body (poor diet), for example vitamins A, E and iron may result in hair loss. Adrenal Disorders such as adrenal fatigue syndrome and low cortisol can lead to hair loss and affect your fertility. Adrenal hormones should be measured for hair loss. During and after pregnancy, estrogen levels may frequently rise and then dip back down quickly. This sudden dip is what leads to hair loss after giving birth, which can be normal and should stop as hormone levels balance again. If hair loss is accompanied by a myriad of other symptoms post pregnancy, there may be a deeper issue beyond normal hormone fluctuations, such as thyroid function. “But exhaustion, feeling down, difficulty losing weight, intense struggle to produce enough breast milk, and hair loss aren’t always just a normal part of having had a baby,” says Dr. Aviva Romm. If you are experiencing any of these issues post pregnancy, do talk to your doctor about what you are going through. There can be any number of different factors contributing to your hair loss. If you’re reading this and thinking, “well I have that and that, and am going through that,” then you may already have an idea of what is a contributing cause for you. You may already be doing much of what is suggested here and may learn of additional ideas to consider trying. If, however, you aren’t so sure that any of the causes listed above are a problem for you, then a good place to start may be to talk with your healthcare provider about testing. 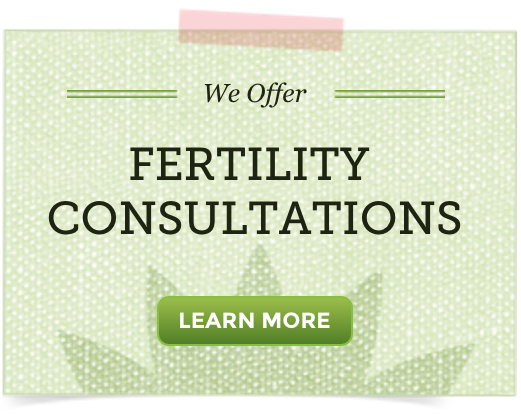 It is important to learn the root cause – especially if dealing with infertility – because that which is causing hair thinning and shedding may also be contributing to your inability to conceive. After testing, consider beginning to make specific dietary and lifestyle changes and using natural therapies if any of these areas are determined to be contributing factors to your hair loss. Hair loss is stressful! Stress, illness, nutrient deficiencies, hormonal imbalance, taking medication like birth control and systemic inflammation can all be causative factors. It is important to address the root cause and move forward from there. The tricky part is that it is believed that the cause of hair loss most likely happened three months prior to beginning to see hair fall out. So, the underlying cause may not be easy to pinpoint. Natural hair re-growth will take time. Just as it can take 3 months after an event to realize that hair is falling out, it can take just as long, or longer, to begin seeing hair re-growth if the cause has been addressed. It is important to be patient! There is hope! It may be best to check in with your healthcare provider so he/she can first help you know why this is happening. I hope you find answers soon.